If you landed in this page, probably the ads bothering you. Bringing you new updates constantly. The fee is low! Almost as a price of 1 Coffee. What Me Pro User gets? * Remove all ads instantly from the app! * Backup & Restore all your contacts with one touch! We backup your contacts even if you are not a pro user, in order to restore them you have to become a pro user. 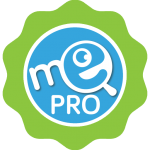 * Get a Green ME PRO Badge in your profile! Whenever someone will look at your profile he will see that you are a PRO User. * The most important is you will support us the developers to continue update and bringing you new features constantly. How do I become a Me Pro User? Just touch on the red badge me icon at your top of the screen, and click purchase straight from the google play store or the apple appstore. The fee is quite low as a cup of 1 coffee. 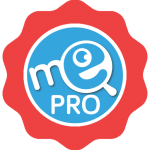 So join our expanding pro users community! Your phone was stolen? Lost? Or ruined?